Unlike "Frosty", this Snowman won't melt when he comes inside to hang on your tree. 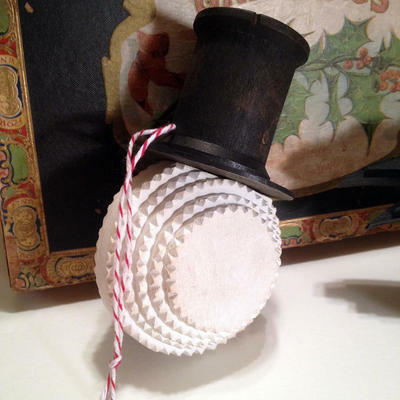 His Top Hat is made from a vintage wooden sewing spool. He is painted with washes of whites and his Top Hat is a soft black over a wash of brown. Approximately 11 hand-cut and carved pieces of wood were used in creating this work of art.